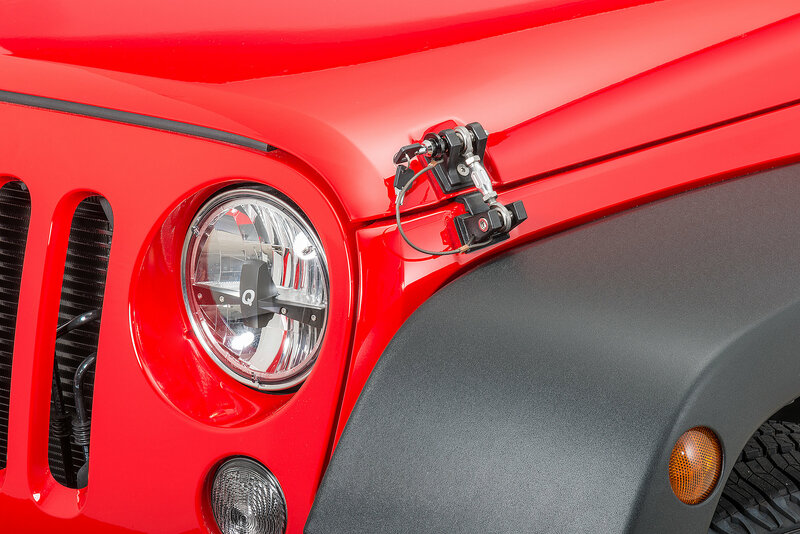 The new locking Hood Hold Down system from Drake Off Road gives you the in ultimate security and protection with a stylish look for your Jeep. The patented design features an adjustable turnbuckle center piece with stainless steel heim joints at either end along with reinforced body mounts for extra strength and durability. 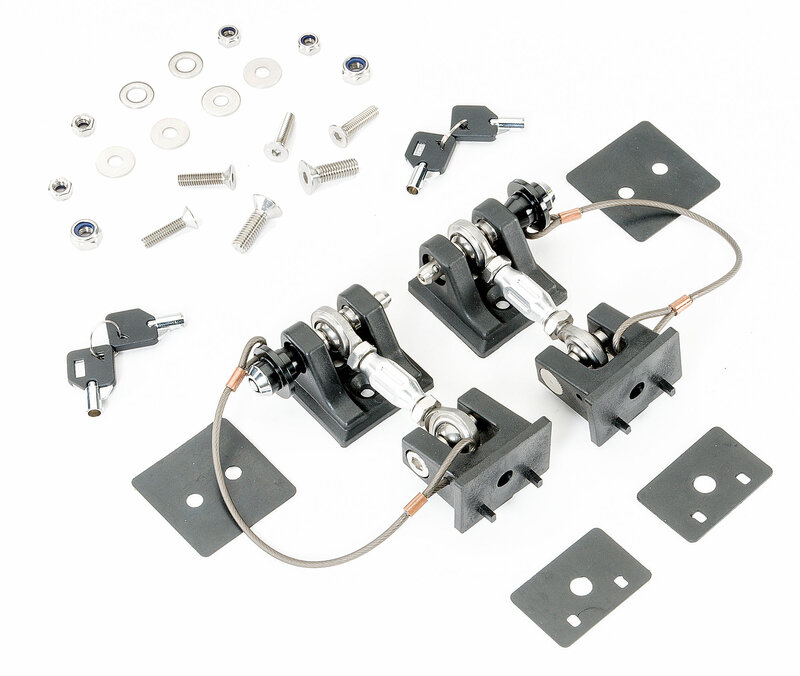 The system securely locks in place with stainless steel locking pins that are tethered to the mounts with UV resistant PVC coated stainless steel cable. 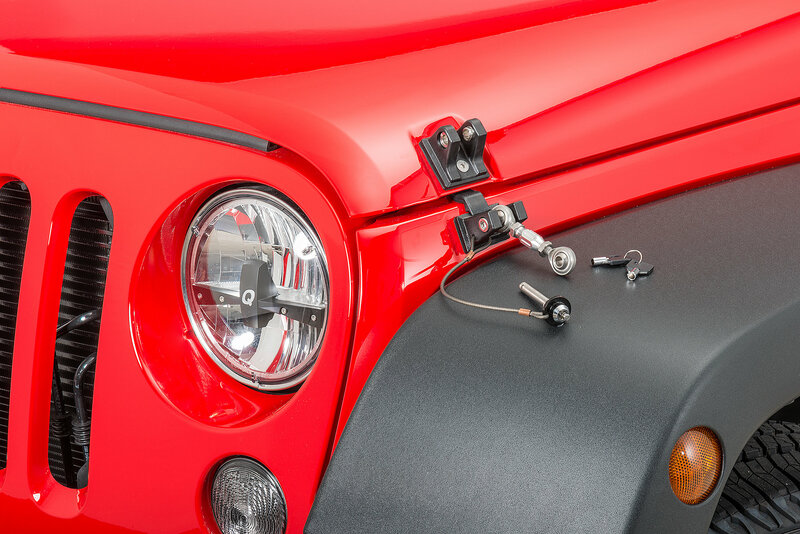 If youre looking to make an upgrade to your Wrangler that adds function, style and security in one package, choose the Drake Off Road locking Hood Hold Down system. The idea is good, however I have to say that these really aren't any good. The locking mechanism froze and now I can not open the hood. I've only had these 6 months, and we aren't even in the thick of winter yet. I'll be looking at other options. Save your money and go a different route. These look great, but corrode if you live in a place that snows in the winter. They keys are made of very cheap metal and brake rather easily. I had the latches replaced once and it happened again. When I called they said the warranty was from the original set not the replacement set so they were not covered. I purchased a new latch from a different company. Save your money on these and go with something else. Besides the poor quality, customer service is of little help. The latches nice, but with the keyhole facing forward they tend to fill with grit which can make getting under the hood after or during a wheeling trip difficult. I have already had one latch break the key and had to be warrantied out. If you don't off road they might be alright, but I'm looking for a better option.